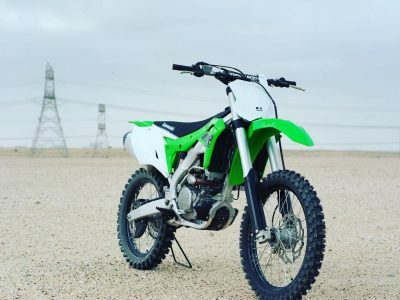 The new fleet: Kawasaki Liberty KX 450 F 2018. 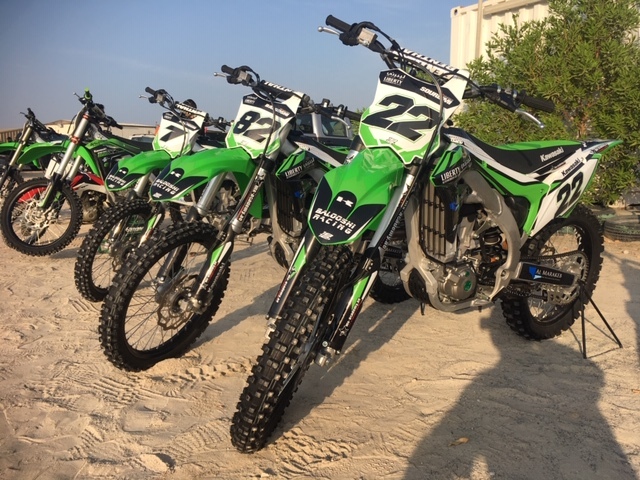 Thanks to Oly Eveleigh from 1812 Moto for the nice sticker kits. 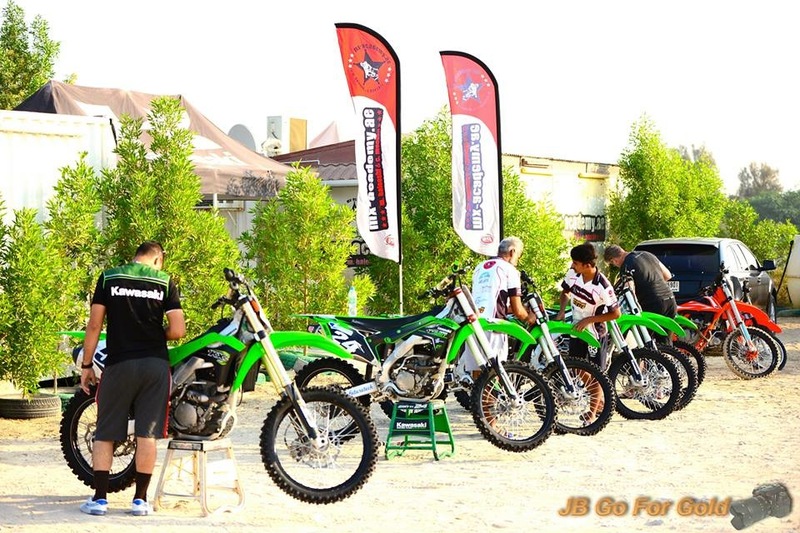 Sultan Al Balooshi is ready to start the race with his KX 450 F 2018. 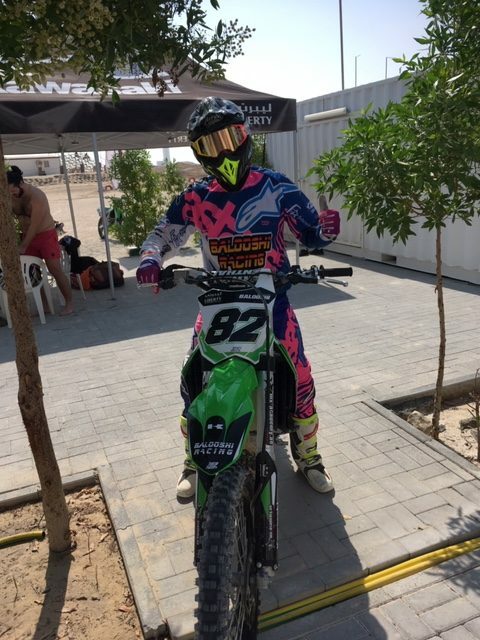 Yasser Soureimi, the Clubman class shooting star is ready to rumble. 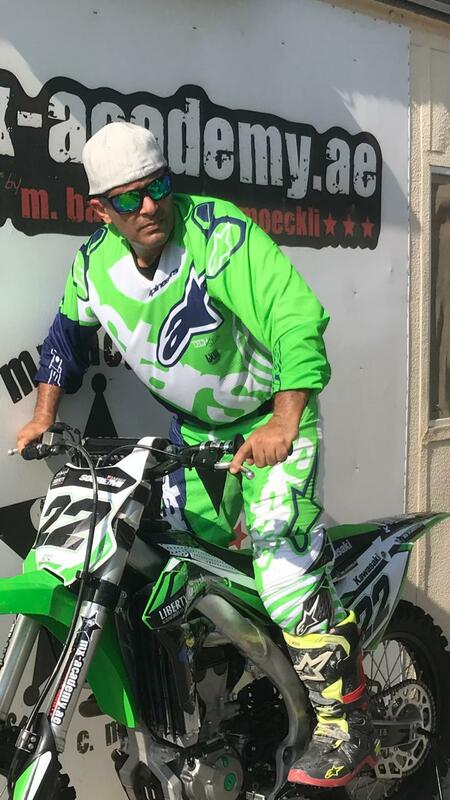 100 % Camouflage! 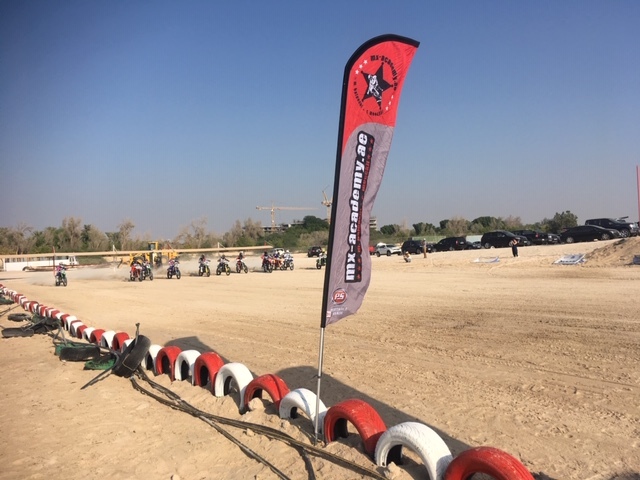 The perfect weather in DMX make racing very easy! 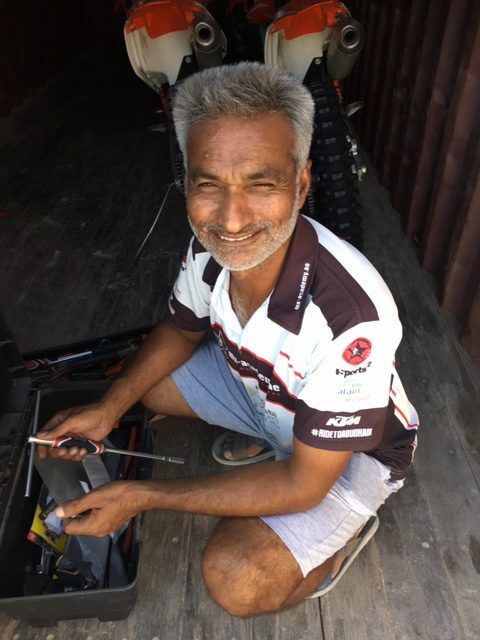 The team around Mohammed Balooshi, has the last briefing before the start! 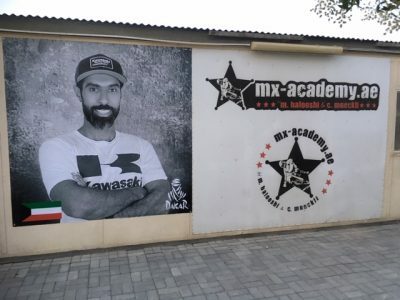 The face of happiness: Mr. Akhtar Jan, the Bike Manager of MX – Academy Dubai and Balooshi Racing. He takes care about the lot!